On Wednesday, December 6, and Thursday, December 7, please join the Jacobs Institute for the Jacobs Winter Design Showcase. At this open house, you can meet student designers, check out innovations in fields from health to mobility, and celebrate the semester over conversation and refreshments. 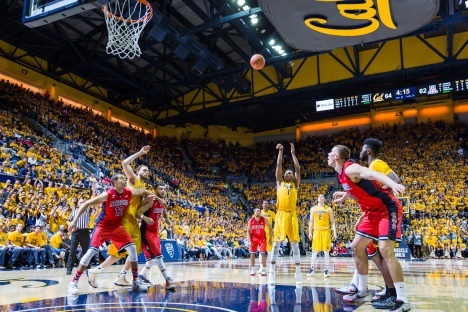 Cal Men's Basketball hosts Central Arkansas at Haas Pavilion. This is a popular concert, so please make plans to arrive early, as it is first come, first serve seating. Berkeley International Office has set aside this special day for "express" travel signatures just for you! Stop by any time during the hours below to get your documents signed on-the-spot (please read below "Do You Really Need a Travel Signature?"). Garden Members! Come have a fabulous time finding beautiful and unusual gifts for the holidays at our special holiday shopping party in the Gardens Julia Morgan Hall. This portrait of revolutionary Cuba, written by Yevgeny Yevtushenko and brimming with bravura camerawork, is an extraordinary example of pure cinema in the service of politics.